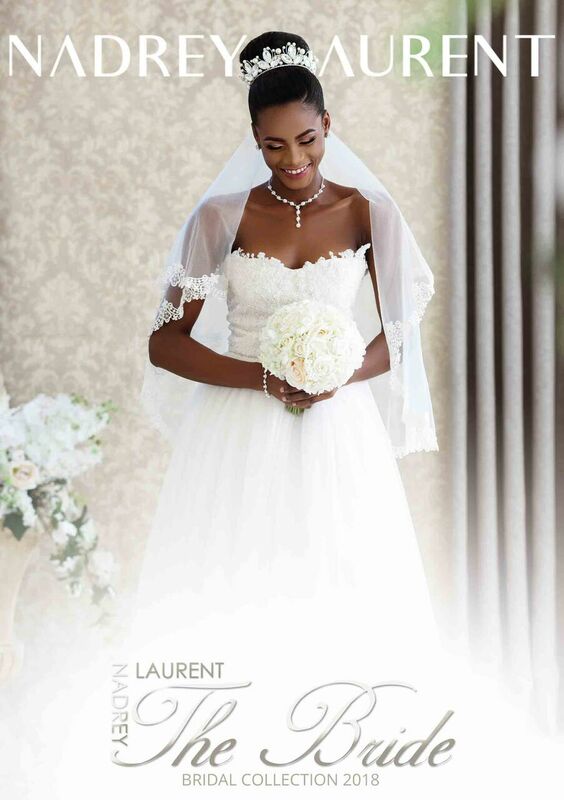 Nadrey Laurent, Accra based fashion house has launched its first ever bridal collection. “The Bride”. This stunning capsule collection is a perfect blend of traditional, sophisticated yet playful designs. The delicate embellished ivory and whites laces are intricately mixed with fresh turquoise lace, beautiful fuchsia satin, bold black guipure and even African prints. “This collection offers a wide range of possibilities for the modern bride to explore. As we know, today’s brides are confident, dynamic and still very traditional. They are mostly in search of this special yet timeless dress, that piece that will reveal their inner beauty (and happiness), embrace their femininity yet will be practical because aside from being beautiful and posh they will have to dance and have fun…” Marie Kipre, Creative Director for Nadrey Laurent explains. THE BRIDE Collection offer styles such as the traditional wedding gowns, classy embellished jumpsuits, body-skimming crepe dresses, and lace capes. These styles mostly come with detachable trains to allow the Queen of the day to fully enjoy her special day. Click on to see the full collection.